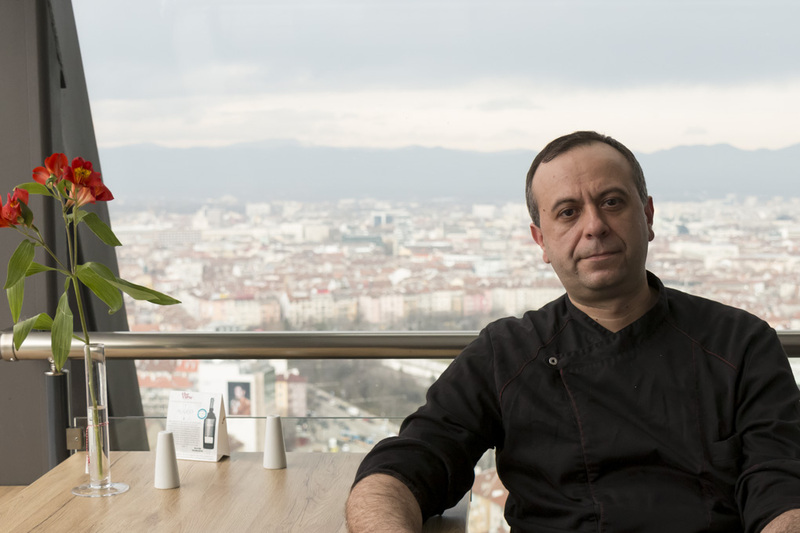 At a height of 85.2 meters, The View is the restaurant with breathtaking panoramic views over Sofia, modern interior, exquisite atmosphere and an incredible menu. The open-air terraces allow you to explore the capital from above while having breakfast, buffet lunch on weekdays, or fantastic European cuisine from the a la carte menu for dinner and on weekends. 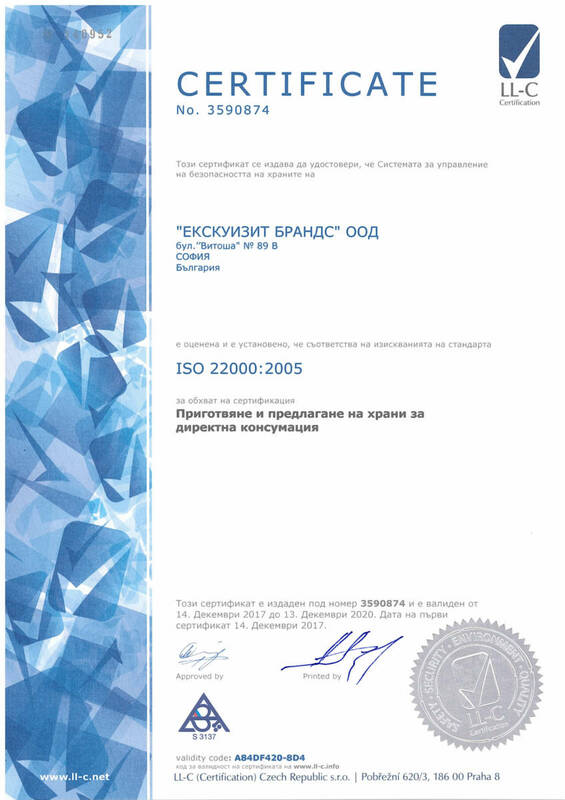 Its team is large and gained a lot of experience while working at different prestigious restaurants around the world. We only use high quality products in our dishes, which is the secret for their unparalleled taste. 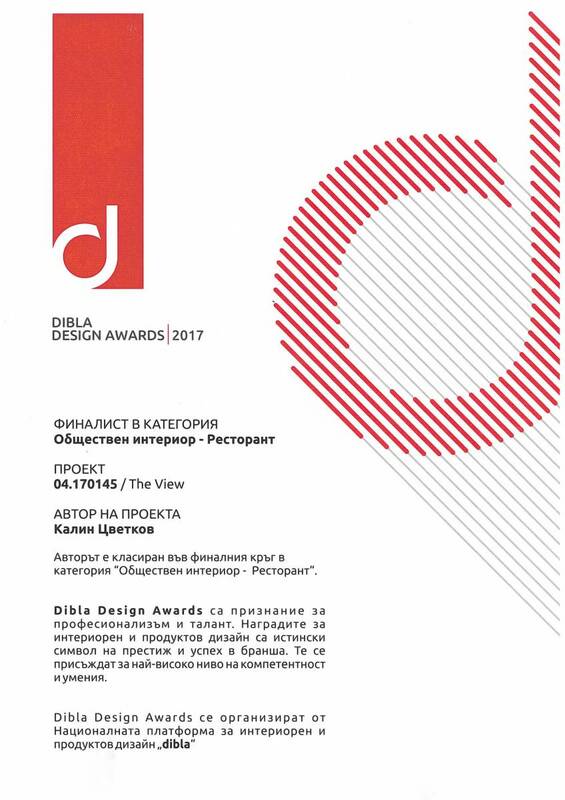 The View is the winner of Best New Restaurant in Sofia at #GoAwards for 2017 and finalist in the Public Interior Design category of Dibla Design Awards. 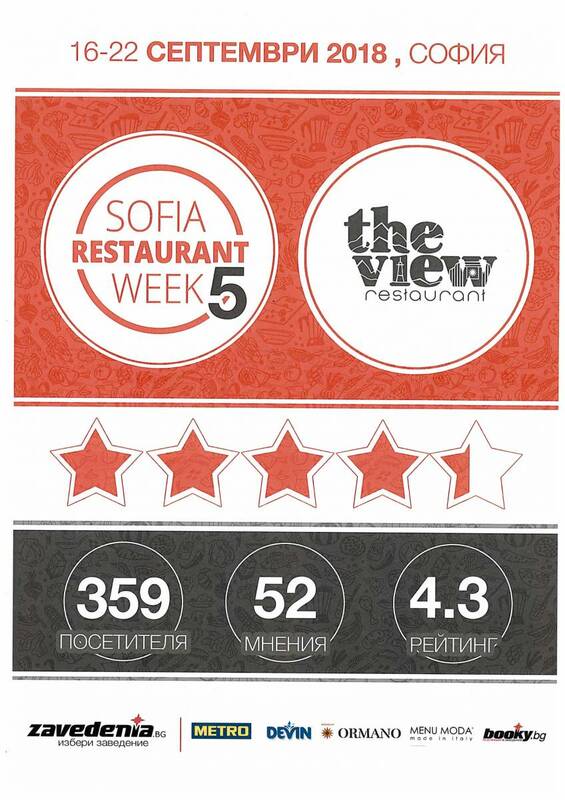 The culinary delights of The View’s team won an award for the most original dish, and in the end of October The View was among the top 3 in the first edition of the competition “My favorite restaurant in Sofia”. 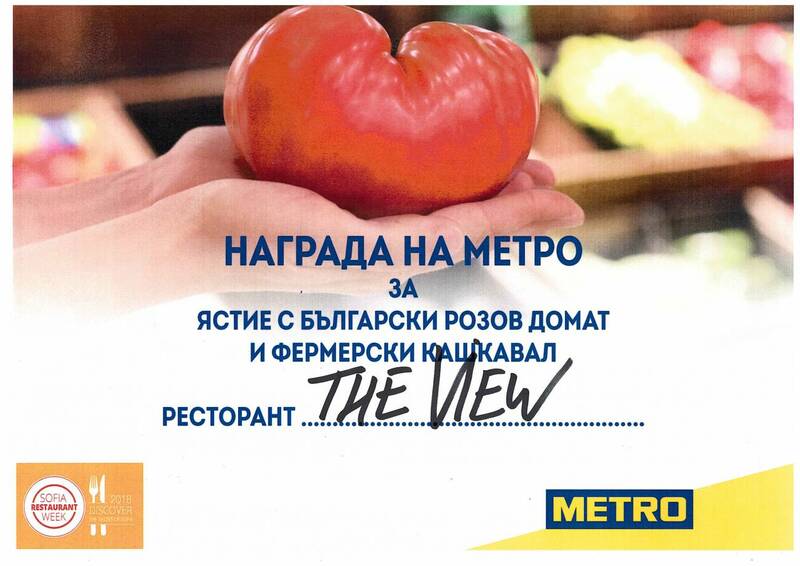 In January 2019 The View was nominated for Best Bar & Dinner at GoAwards 2018. January 2019 marked a year and a half anniversary since the restaurant opened its doors. For that time The View became known for a great place for meetings with friends and loved ones, for family and corporate lunches and dinners as well as organized events from business breakfasts to cocktails for 400 people. Discover Sofia from almost 360° with all of the familiar streets, and of the places hidden from the eyes until now. Located in the center of Sofia, The View offers a panoramic view of the capital and reveals the city’s beauty from a new angle. Enjoy your morning coffee and breakfast while observing the hustle and bustle of the city. Have lunch with views over some of Sofia’s most famous sights such as Aleksander Nevsky Cathedral, Vitosha boulevard and the National Palace of Culture. Stop by for a cocktail or a glass of fine local and international wines after work. Have dinner while looking at the city full of light. Ilian worked as a cook for many years. He gained a lot of experience while he worked in England, where he mastered the British and the Asian cuisine. He likes to prepare traditional Bulgarian dishes. His philosophy is to use only high quality and fresh products in his dishes. 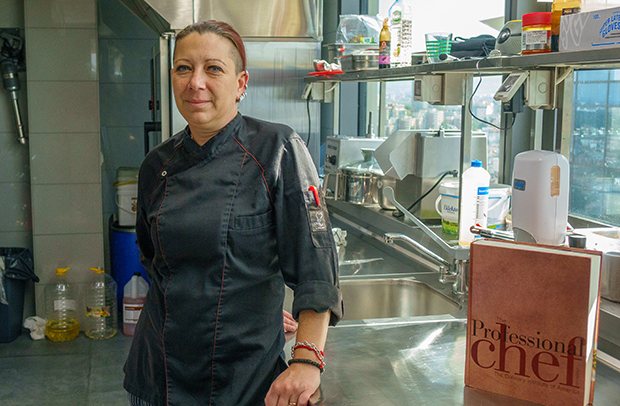 Iliyan specialized at the prestigious culinary school Le Cordon Bleu Paris​. Elena specializes in Cold kitchen offers and catering. She gained serious experience in culinary art in the five-star hotel Holiday Inn for many years. Her hobby is making pastries. She is a fan of European cuisine, especially Bulgarian national cuisine, which is her favorite.